For those who felt that Silka Shea smelled too sweet, rejoice! This is Silka Avocado, the latest from the number one in whitening. And it's now on Sample Room! I was reading reviews on Sample Room over Silka Shea to see how people felt about it. Opinion was split as some people hated sweet fragrances and complained that the products made them dizzy. Some on the other hand, like me, loved the variant soooo much. So I think this will receive less polarized reviews as this doesn't smell sweet. This, in a stark contrast, doesn't smell like avocado at all. This is the Silka Moisturizng Milk Soap with Avocado and Almond Milk Protein. For size reference, this is the 135g bar. For 15 points, one can get the 90g bar from Sample Room. The 135g bar retails for Php42.50 while the 90g bar retails for Php32.00. As I've mentioned in my last Silka post, I like Silka soaps in general as this is among the few brands of whitening soaps that doesn't make me feel dizzy from the fragrance. I was able to even out my skintone in a few weeks after months of swimming classes in school with Silka back in 2013. Now, just like with the Shea one, I can't say much about the whitening factor as I haven't been out in the sun for a long time. I'm pale right now. But at the darkest hour in my life (no pun intended), Silka came to the rescue--that's for sure. And yes! I know you all want to find out about the fragrance. This doesn't smell like avocado at all. No trace of how an avocado milkshake or how a tub of avocado ice cream smells like. Instead, it's a citrus floral fragrance. It bears a very strong resemblance to Lux's purple body wash, though with less 'darkness' in the fragrance. This smells 'brighter' compared to Lux, but this smells luxurious as well. This is the perfect product for those who want to have a whitening effect while having a luxurious bath experience every day. 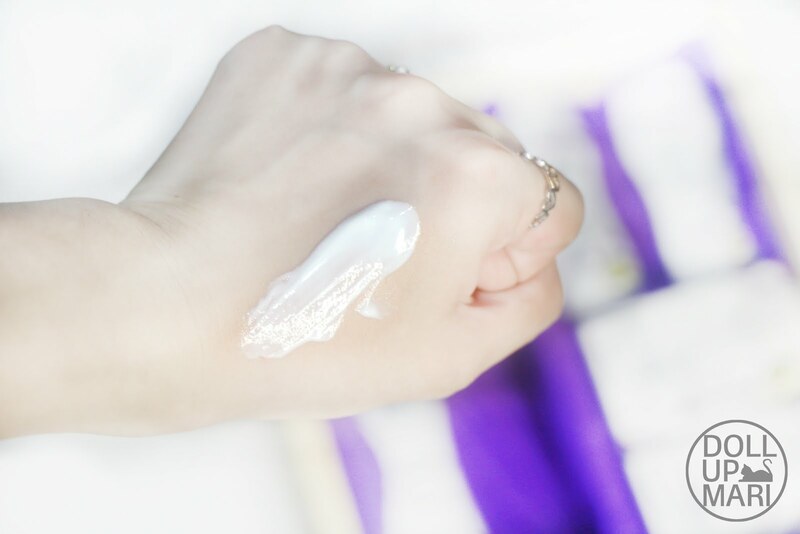 Lux purple doesn't whiten as far as I know, so if you're looking to whiten while smelling good, you will like this. And here is the Silka Premium Moisturizing Milk Lotion with Avocado Oil and Almond Milk. This comes in 50mL (Php45), 100mL (Php77.25), and 200mL (Php137). For size reference, the small one in the photo above is 50mL while the big one is 200mL. One can get a 100mL bottle for 55 points in Sample Room. This smells exactly like the soap bar, which I think is good because if you really want to smell good all day, it helps to have a soap bar and lotion combo that smells exactly the same. Texture wise I found this feeling like a whitening lotion or a sunscreen, something I didn't feel with Silka Shea. Like it has this whipped emulsion like texture. This is a bit more whipped and behaves a bit more like sunscreen with the fragrance and errthing that you can feel the presence of SPF23 here. This, though, will not really feel like a sunscreen in the end as it will not leave a cast. It's really just the texture per se. Once applied and spread out this will feel like a lotion again. I love how in general the lotions of Silka absorb really quickly and smoothen the skin; it's so hard to be running around in the Philippine heat with a gunky body lotion. Overall, I like the luxurious smell of this product line as a whole. No one will be reminded of papayas when you use this, and for those who can't bear sweet fragrances, you will not go dizzy with this one. I personally like Shea more, but this is a good variant altogether. GRAB YOUR SAMPLES TODAY MY LADIESSSS!! !